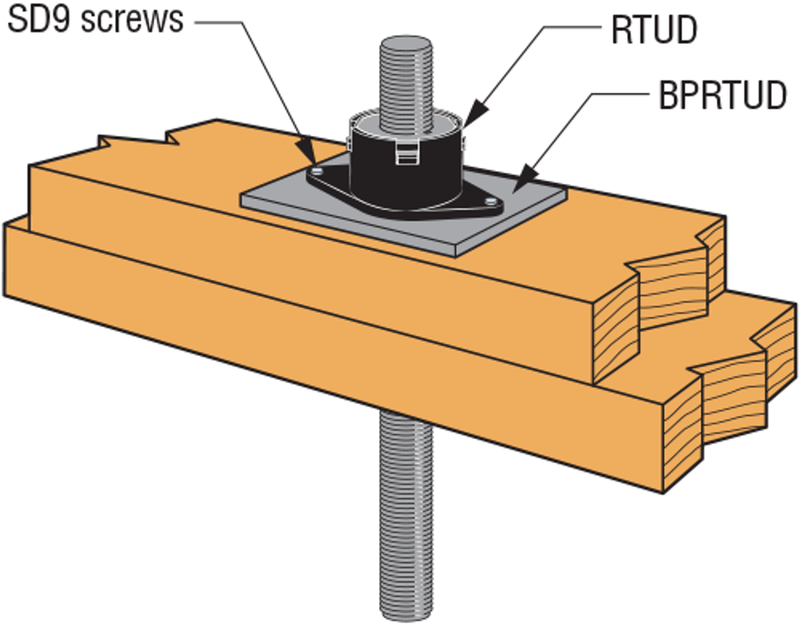 Tabulated allowable load is the lowest allowable load of the threaded rod, coupler nut, take-up device, and bearing plate components for each URS model. 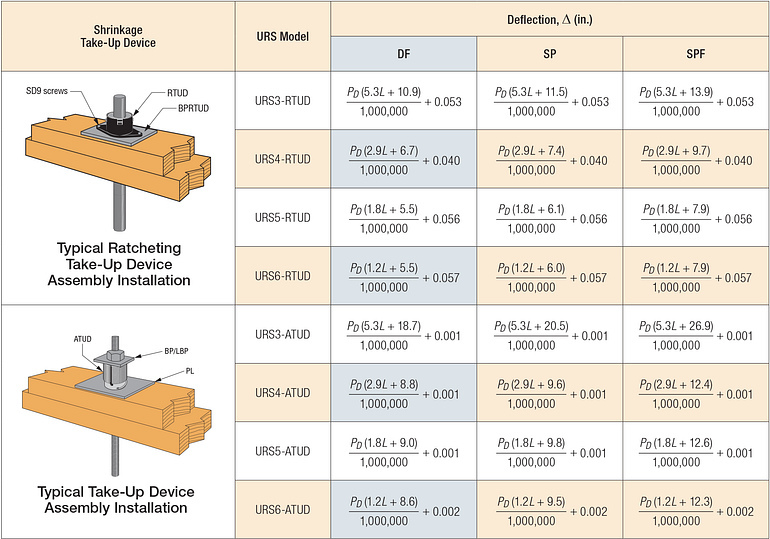 Tabulated deflection formulas account for rod elongation, wood bearing deformation, and deflection of shrinkage compensating device. See pp. 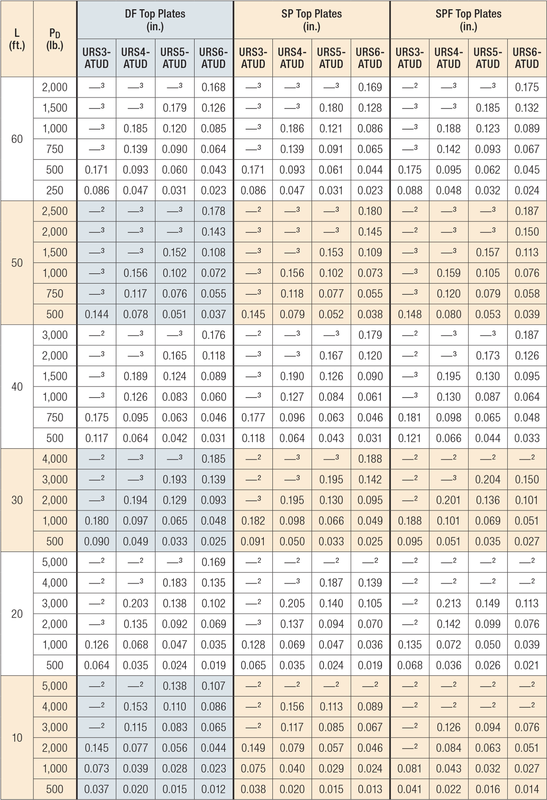 68–69 for tabulated deflection values for various length and tension values. 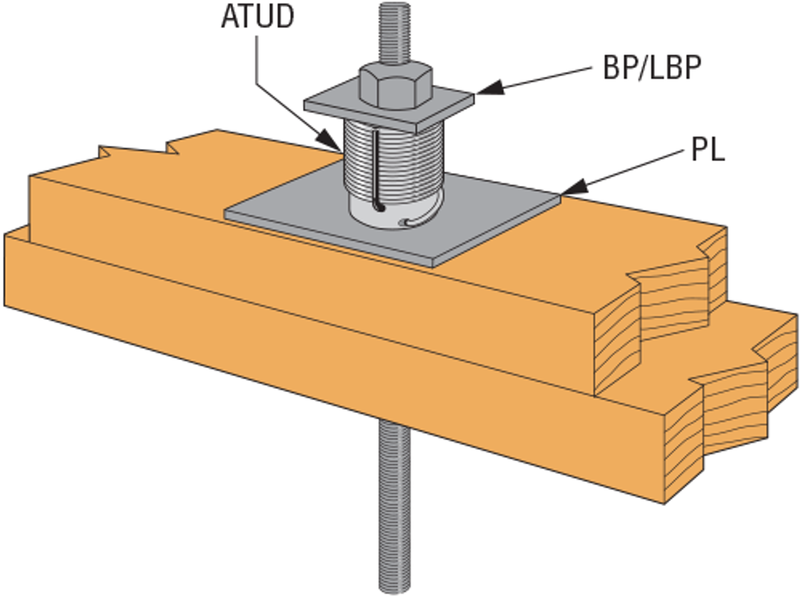 Tabulated deflection values include rod elongation, wood bearing deformation and deflection of shrinkage compensating device. 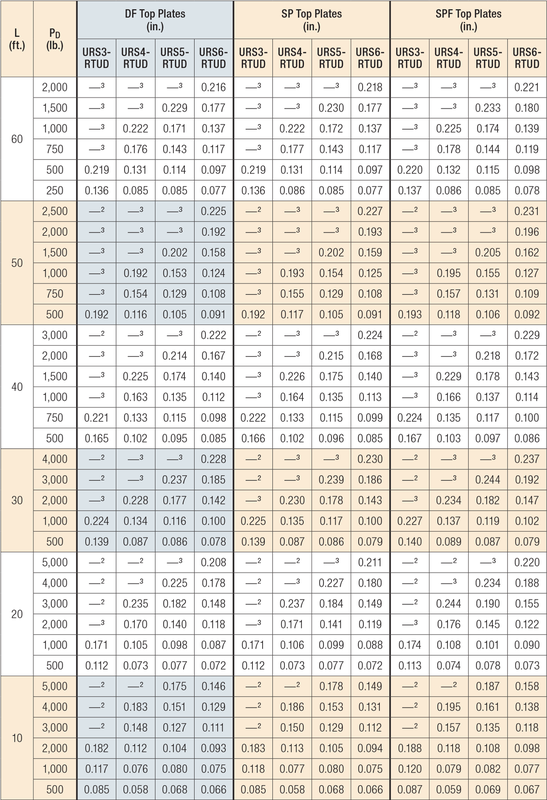 For design loads and lengths not listed, use the deflection calculations tabulated on p. 67. 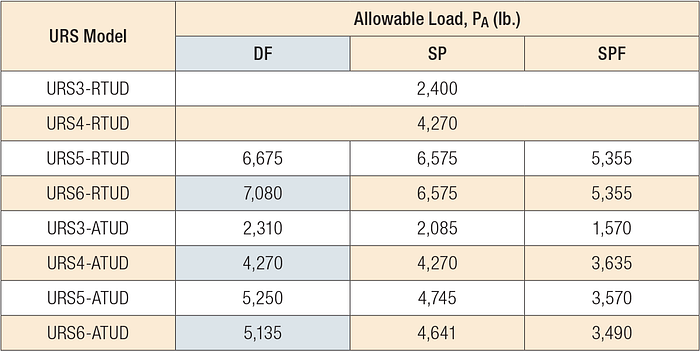 Noted values exceed the maximum allowable load for the URS run. Noted values exceed the maximum rod elongation of 0.18" specified in Section 3.2.1.1 of ICC-ES AC391.